(Austin, Texas - Wednesday, May 9, 2012) - Vesicular stomatitis (VS) has recently been detected in two horses in New Mexico. The U.S. Department of Agriculture Animal and Plant Health Inspection Service (APHIS) confirmed the infection of two horses in Otero County. The horses were sampled after vesicular lesions were observed on both animals. Testing at the National Veterinary Services Laboratories (NVSL) confirmed the virus as the New Jersey serotype. The New Mexico Livestock Board (NMLB) is working with APHIS on an epidemiological investigation. The original premise of five horses remains under quarantine. No new cases of Vesicular Stomatitis have been identified in the immediate area or elsewhere in the state of New Mexico. A NMLB veterinarian and inspectors inspected all livestock within a one mile radius of the index premise. There were 128 horses and 24 head of cattle examined on 18 premises. 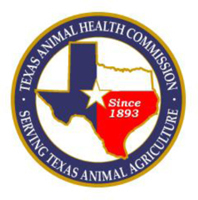 According to the New Mexico state veterinarian, based on the current findings of Vesicular Stomatitis in the area: All livestock leaving Otero County will be required to have an inspection by a veterinarian within 7 days of transport if they are traveling to a public event such as roping, racing, breeding or other forms of public exhibition or traveling interstate. Updates about the New Mexico situation are available from APHIS at http://www.aphis.usda.gov/vs/nahss/equine/vsv/. A USDA APHIS-VS fact sheet about Vesicular Stomatitis is available at www.aphis.usda.gov/publications/animal_health/content/printable_version/fs_vesicular_stomatitis_07.pdf.